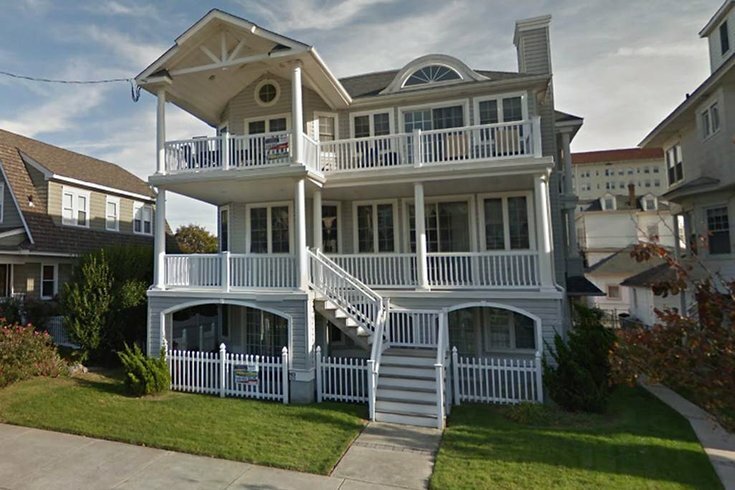 A lucky winner will get to spend a week at this 5-bedroom, 3.5-bath beach home in the heart of Ocean City. An Ocean City, New Jersey vacation home is up for grabs for a week’s stay through an online contest run by OCNJ Daily, a digital news site. The site is running a Facebook-based contest for a stay from June 25th through July 2nd this summer in a 5-bedroom beach house which can sleep up to 14 people, valued at $6,000 dollars. The home is located in the heart of downtown just blocks from the beach and boardwalk. Purely a blind drawing, according to OCNJ co-owner Ken Wisnefski, the contest closes at noon on June 14. He expects to announce a winner later that same day. The drawing has already pulled 15,000 entries, according to Wisnefski, a digital marketing executive. His digital company, WebiMax, is located in the Camden Waterfront neighborhood. He recently purchased OCNJ Daily and has plans to create additional news sites serving other shore towns, beginning with Sea Isle by the end of June. Wisnefski had made plans for the vacation home promotion, but Ocean City’s recent win as the Best Beach in America in a Coastal Living magazine contest accelerated his timing of the giveaway. “It’s good timing for more notoriety. And definitely a big percentage of our audience in the Philadelphia area either have second homes here or come to Ocean City as a destination. We see this expanding our reach,” said Wisnefski. The winner of the contest also gets ride and mini-golf passes, beach badges and local food.